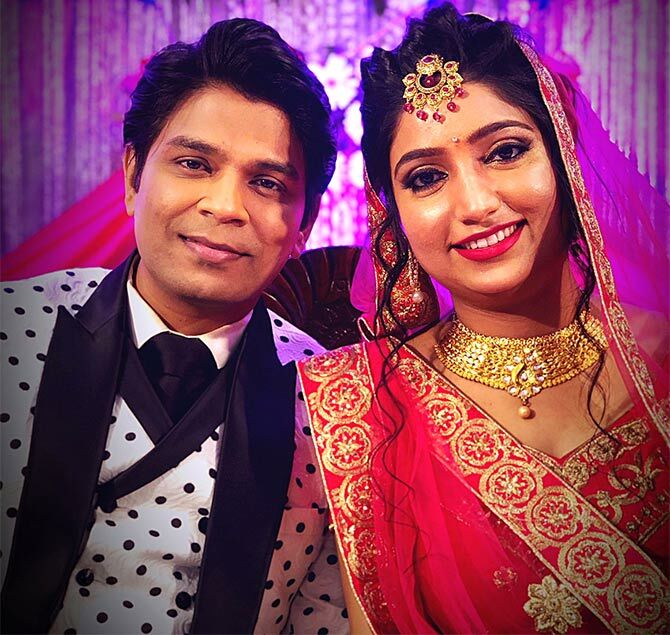 Singer-composer Ankit Tiwari got engaged to Pallavi Shukla, a mechanical engineer from Bengaluru, on February 20. The wedding festivities will begin with the haldi, sangeet and mehendi ceremonies. They will get married on February 23 in Kanpur, followed by a reception on February 26. The Mumbai reception will be held held after Tiwari completes his Delhi-Chandigarh-Kolkata tour at the end of this month. Tiwari recently composed music for Neeraj Pandey's Aiyaary. PIX: Sridevi looks gorgeous at Mohit Marwah's wedding! PIX: Sonam Kapoor's cousin weds; mehendi ceremony looks GRAND! Priyanka, Alia, Nia, Disha: Who is the hottest?